A1 Locksmith & Lockout is ready to help. We are located in metro Grand Rapids and rarely more than 15-20 minutes away. Fast, reliable and prompt! We are a mobile based locksmith business operated by Desmond Clarke, a professionally bonded & insured local locksmith in Grand Rapids. As a local 24 7 locksmith, we are always nearby and bring the solutions to you! WARNING: Most newer cars are designed and built very tight between the window glass and weather stripping. Only an expert vehicle locksmith with special car opening tools can do the job quickly and safely. We will provide a price quote and estimated time of arrival over the phone. We'll ask for your location, the make, model and year of your vehicle. It's important that you provide accurate information to enable us to quickly locate you and your car. If your keys are locked in the trunk and you have a lever/button trunk release in your car, all we need to do is get you in. If, however, your lever/button is broken or you don't have one, we have other options. Since a trunk lock is very difficult if not impossible to pick open, we can create an extra key that will open your doors and trunk. REPLACEMENT CAR KEYS: We also make vehicle keys when yours are lost, stolen or broken. Our residential locksmith provides fast, reliable and professional service to unlock your home in Wyoming. You can safely and quickly retrieve your keys. We'll provide an accurate price quote and arrival time (depending on your location). Our courteous drivers will stay in touch with you until they arrive at your location. Whatever the need our 24 7 Emergency Locksmiths are ready! Are you locked out, for whatever reason, we'll get there quickly. 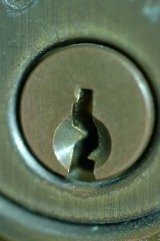 We provide a full range of locks services. Lock Repair, if any part of your lock fails--you might be able to repair instead of repace. Lock Installation, let us install you locks. We'll make any adjustments necessary to insure the locks work properly. Lock Service, when locks are sticky and hard to use. Lock Rekey, you don't have to change your locks. We can rekey them (change the pins inside the lock) so the old key will no longer work and provide two new keys. Serving all Grand Rapids neighborhoods; Ada, Caledonia, Cascade, Comstock Park, East Grand Rapids, Forest Hills, Kentwood, Grandville, Wyoming & Walker. Why use a local locksmith Kentwood MI? Whenever possible we try to support local business that are owned by our friends and neighbors. By supporting a locally owned and operated business, you are spending you money locally and supporting economic growth in Grand Rapids and Western Michigan.